Krabi is fast becoming a destination for international tourists as a more relaxing alternative to Phuket. Spectacular scenery surrounds the area, both inland and offshore, with many of Thailand's finest beaches nearby. 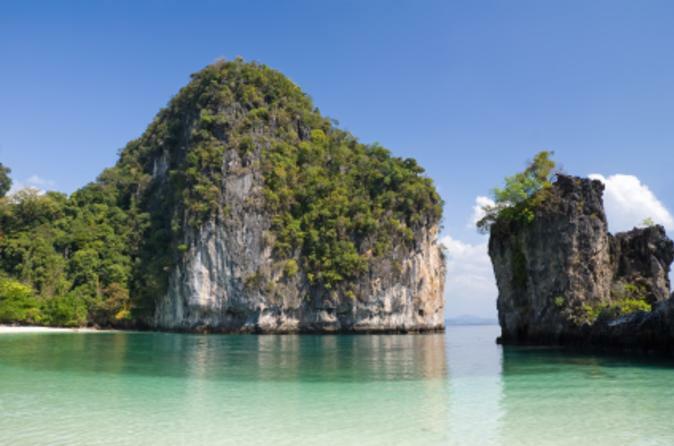 Two of the most beautiful and well known islands in the Andaman are the islands of Ko Phi Phi, or simply known as Phi Phi. Traveling by speedboat you'll be able to experience more of these islands for yourself! Discover one of the Andaman Sea's most beautiful islands on this 7-hour guided tour of Hong Island from Krabi. 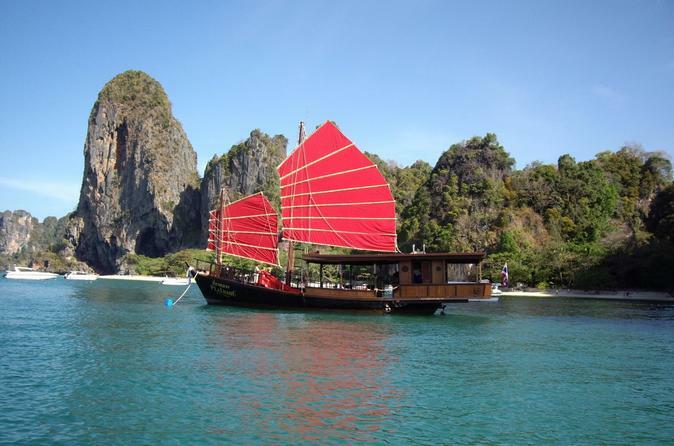 Enter the secret Hong Lagoon in a longtail boat and snorkel in the clear waters. Dry off on the white sandy beaches and bathe in the warmth of the sun. Kayak on the calm waters around Hong Island and find it’s secret lagoon. 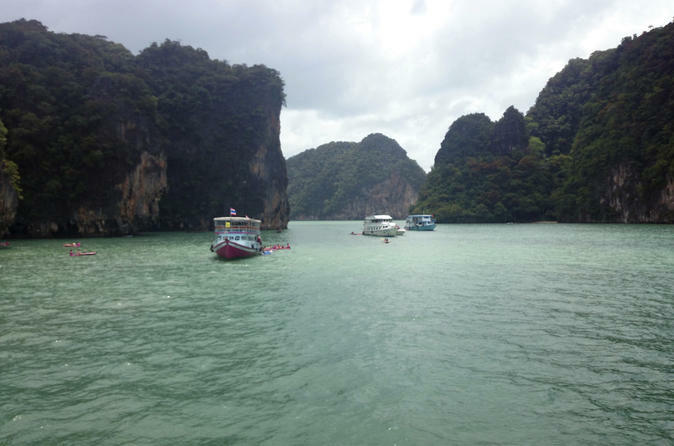 Explore the beautiful Phang Nga Bay on this thrilling speedboat tour from Krabi. Visit James Bond Island and opt to paddle by kayak through limestone sea caves featuring a thriving variety of wildlife. Continue to the pristine Hong Island and snorkel at the gorgeous beach with waveless turquoise water filled with fish. 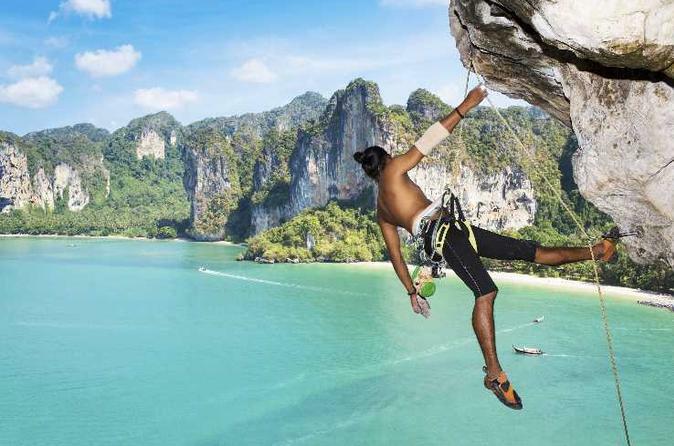 With a hotel transfer, soft drinks, snacks, and a sumptuous buffet lunch, this full-day excursion is the ideal way to experience the Ao Phang Nga National Park. We invite you to enjoy a unique trip by wooden Siamese Junk boat out to the 5 islands in front of the Krabi coastline. We take small groups out to enjoy the spectacular scenery, to swim and snorkel at the islands Poda, Tup, Si, Ta Ming, Wasam and Gai away from the crowds. Enjoy a fantastic Thai buffet and cocktail or cold beer as the sun sets and end your day swimming with the bioluminescent plankton in the warm waters next to Pranang Beach. If you’ve never climbed before, this 4-hour introductory course is the ideal way to get yourself started! You will learn: top rope climbing, belay techniques, safety measures, how to use equipment and basic climbing techniques. 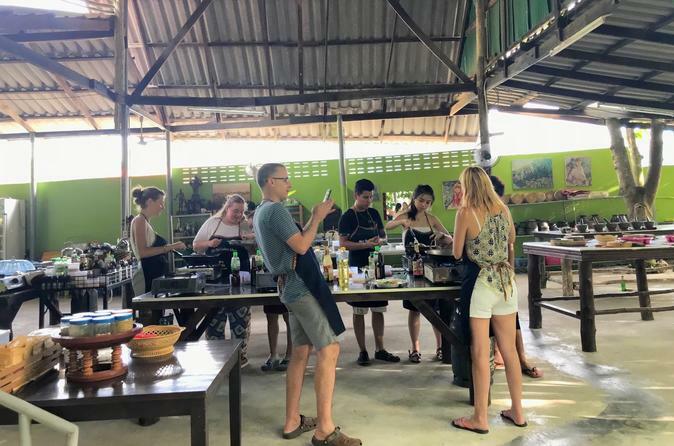 The secrets to authentic Thai cooking, will be discovered in this small group cooking class, under the tuition of the professional Thai chef Ya. The Krabi Thai cookery course will introduce you, in theory and in practice, to the ingredients and dishes of classic Thai cuisine. From typical Thai fruits and vegetables, to the preparation of spicy Thai salads. One of the most beautiful pristine islands of Krabi, Koh Hong is pure paradise. 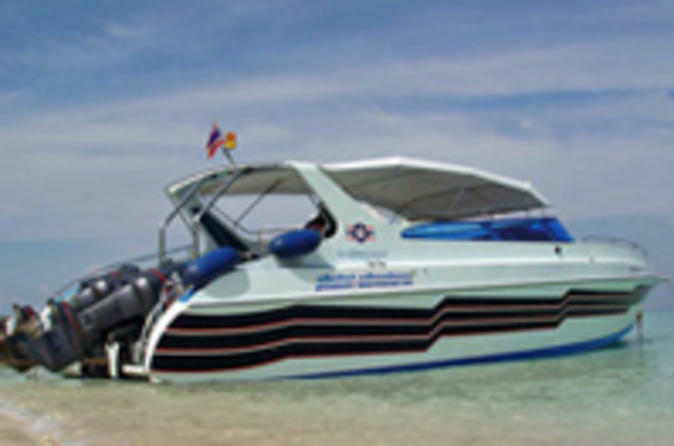 Travel by speedboat from Krabi and enjoy the day exploring Koh Hong Island and Pelay Beach. Enjoy a picnic lunch, swimming and snorkeling. 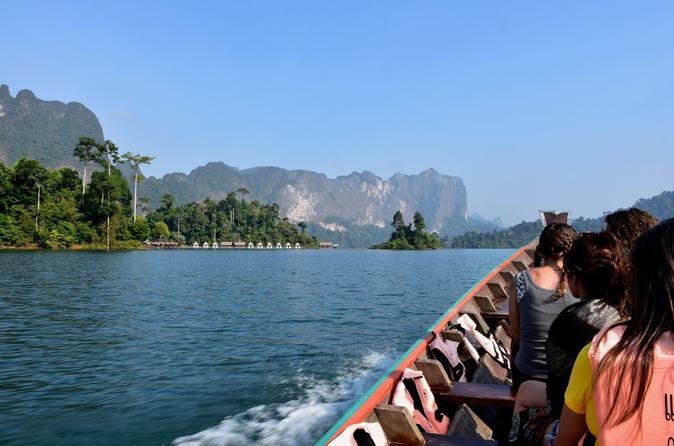 This day trip will take you to see the beauty of Cheow Lan Lake in one day from Krabi. Take in every bit of the magnificent beauty of Guilin of Thailand where the greenery is perfectly preserved, surrounded by the rows of limestone and trees that stand in the emerald lake.Tour is limited to a maximum of 12 travelers and includes a Thai lunch. Travel from Koh Lanta to Krabi in an air-conditioned minivan including a ferry crossing. 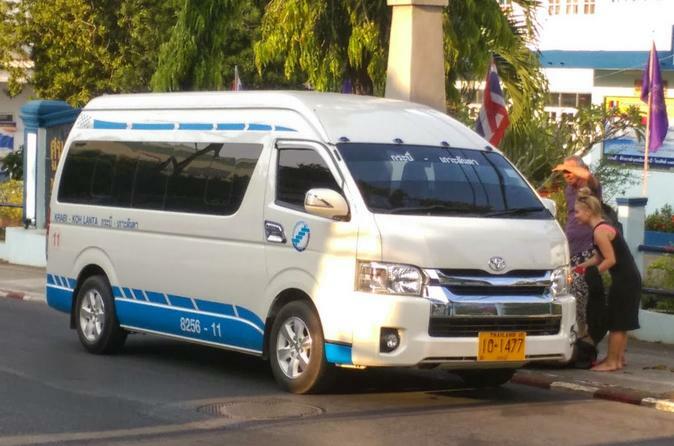 Many departure times are available for this transfer from early-morning until the evening, with drop-off at Krabi Airport, Krabi Bus Terminal or Krabi Town. 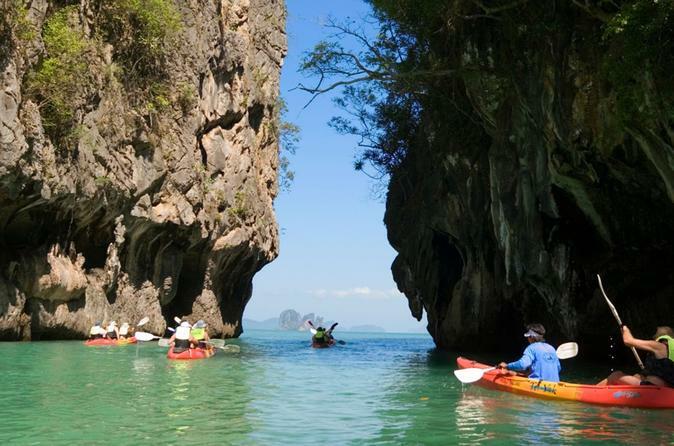 Explore the sea caves of Ao Luk on a kayak tour led by an experienced guide. Paddle around lagoons and mangrove stands to caverns such as Tham Phee Hua Toh, decorated with stalactites and prehistoric paintings. Between kayak explorations, enjoy a Thai lunch in Bor Thor village, and later stop for a swim and snack in the crystalline stream of Tha Pom. Round-trip hotel transport from Krabi is included on this full-day tour. 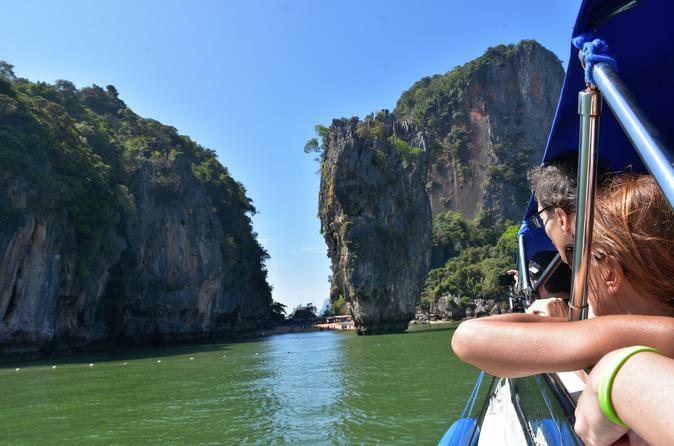 Discover the most beautiful places around Railay and 4 Islands area by a big and comfortable long tail boat. This is a small group tour for up to 13-15 people. Several paradisiacal beaches with two amazing snorkels: one during the day and the second at night to see the incredible effect of the bioluminescent plankton. Enjoy lunch on the beach, and as evening approaches you’ll have a snack dinner at Phranang beach taking in the fabulous sunset. 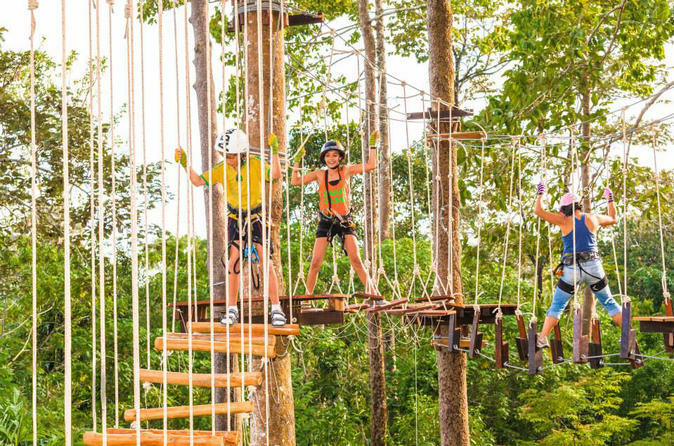 From one platform to another and from tree to tree, adventurers balance themselves through an assortment of zip lines, tightropes, ladders, “flying” broomsticks, bicycles and even skateboards. Two courses ranging from a relatively easy section suitable for children as young as 6 up (and over 47", 120cm in height) to far more demanding sections suitable for thrill-seeking individuals of all ages. Huay Tho is Krabi’s beautiful national park which lies at the foot of Phanom Bencha mountain. It is an abundant wildlife area far from the hustle and bustle of tourist crowds. After the trekking on your elephant for an hour, visit the 7-level Huay Tho Waterfall with the option to take a dip and cool off. 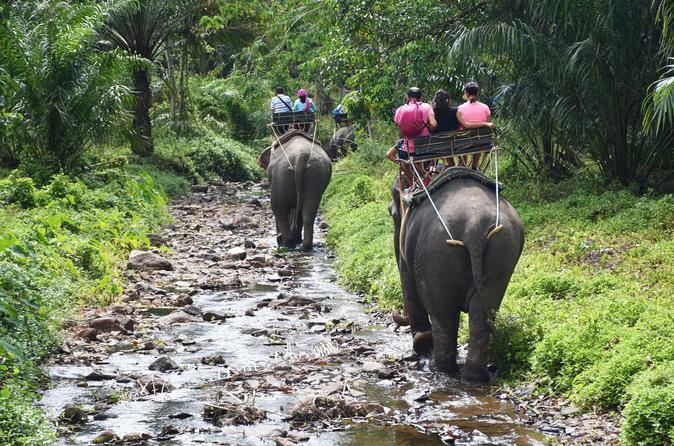 Combine the elephant trek with a baby elephant show, or a visit to Tiger Cave Temple and Khao Khanab Nam Mountains in the Krabi river. Travel from Koh Phi Phi to Koh Phangan stress free when you book this combined transfer ticket with us. 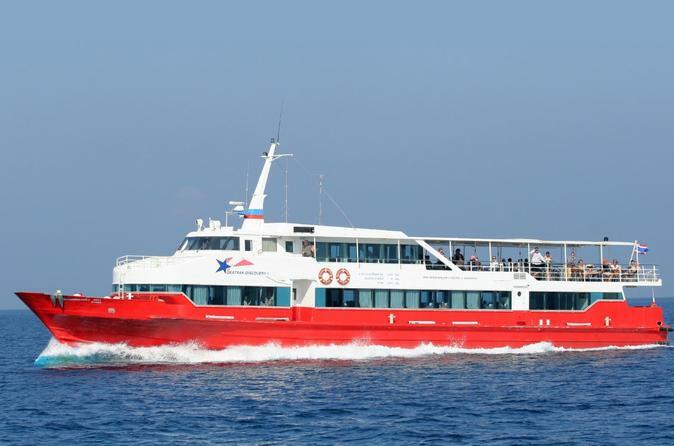 Take the ferry from Phi Phi Island to Krabi, hop on a coach to Don Sak Pier and make your way to Koh Phangan on a high speed ferry. Get away from the hustle and bustle of the city with this full-day spa and hot spring package. 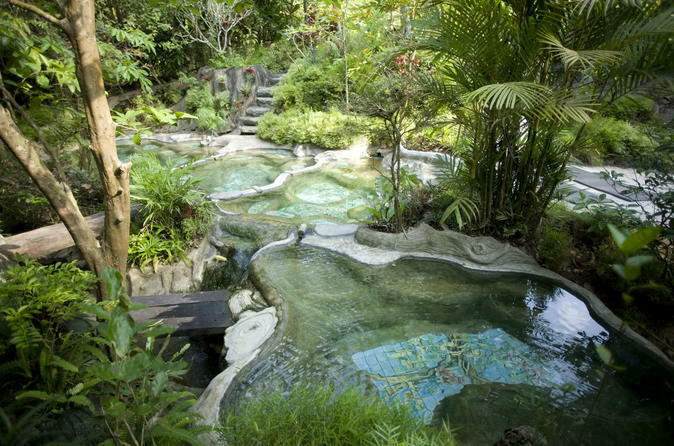 We will take you to the exotic tropical garden where you will relax with a soak in the mineral hot spring, and enjoy a body exfoliation and Thai massage. Your package also includes a nutritious Thai lunch. Take a journey back in time aboard the Pla Luang, one of the last remaining Siamese sailing junks to the 4 Islands of Krabi - plus one tiny island named Koh Si. Cruise and relax on her polished teak decks beneath her distinctive red sails. 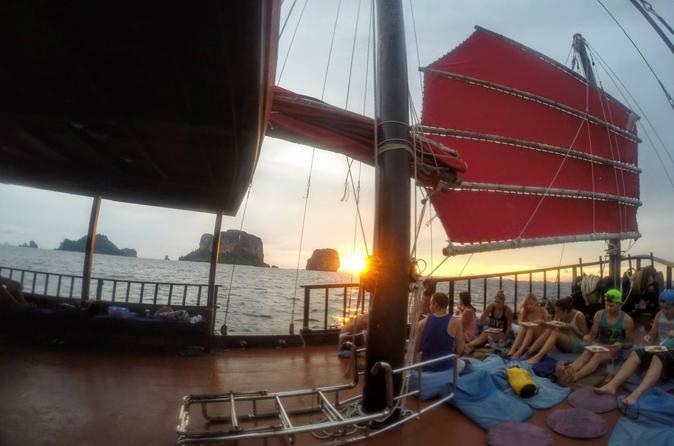 Sailing daily from Railay and Ao Nang, this is a truly unique cruise including a spectacular sunset not to be missed. Join this luxurious sunset adventure and immerse yourself in the vibrant marine playground of Krabi. Get ready for an amazing voyage through the Krabi river and into the mangrove forest at Khao Kanab Naam. 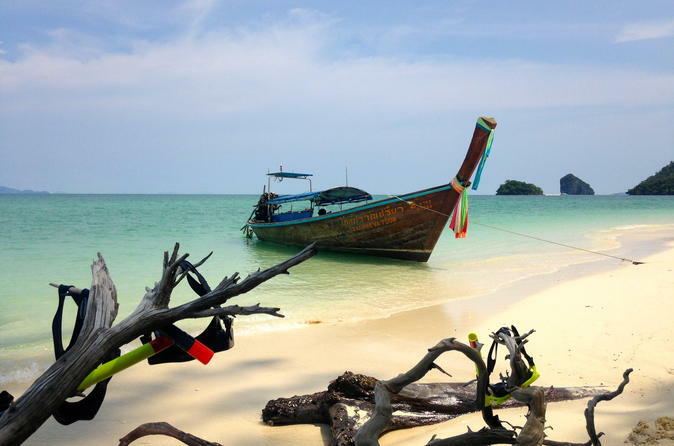 Get off the beaten path at the 4 Islands near Railay Beach and dive into the turquoise water of the Andaman Sea. 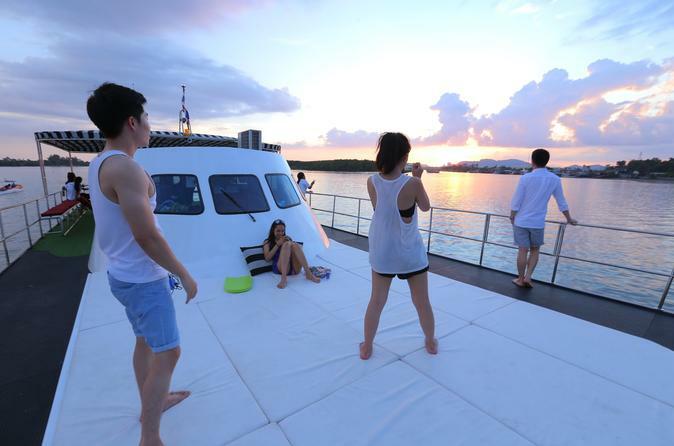 Enjoy the astonishing beauty of the sunset aboard the 2-deck catamaran with air-conditioned cabin. Whether cool and elegant - the bar area is the ideal place to end the evening on a cozy note by having some freshly prepared BBQ skewers and canapes, with a good glass of wine or a drink. 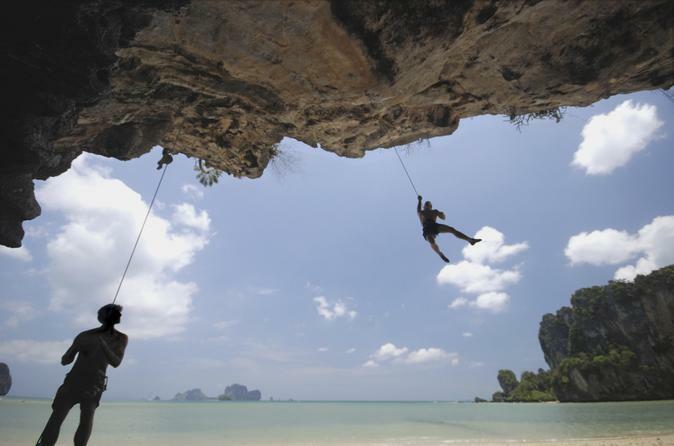 Go rock climbing at famous Railay beach, where towering limestone cliffs line the powder-white sand. During this 3.5-hour introductory class, you’ll learn top rope techniques from an expert instructor on a climbing route for beginners. Bonus: Take in the panoramic views of Railay Bay from a long-tailed boat on a round-trip ride from Krabi. This small-group tour is limited to 14, with four students per instructor, for a personalized experience. 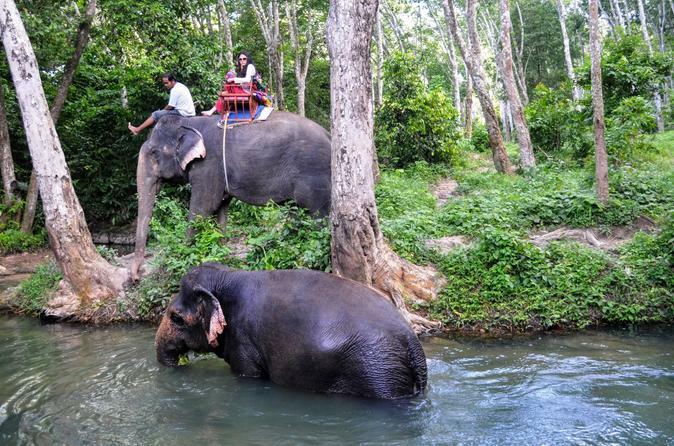 Spend 1 or 2 hours riding the shoulders of these majestic and most gentle beasts. You will be picked up from your hotel in the Krabi province traveling along Krabi’s Romantic Road boasting vast jutting Karsts to spend some time amid the limestone cliffs and coconut palms of the Krabi jungle.